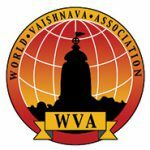 The World Vaishnava Association awarded Sri Ji Baba with the Audarya Award in appreciation for his numerous restoration projects in Vrindavan (Radha Govinda Ji, Radha Gopinath Ji, Radha Madan Mohan Ji) and other dham-sevas rendered in Vraj. 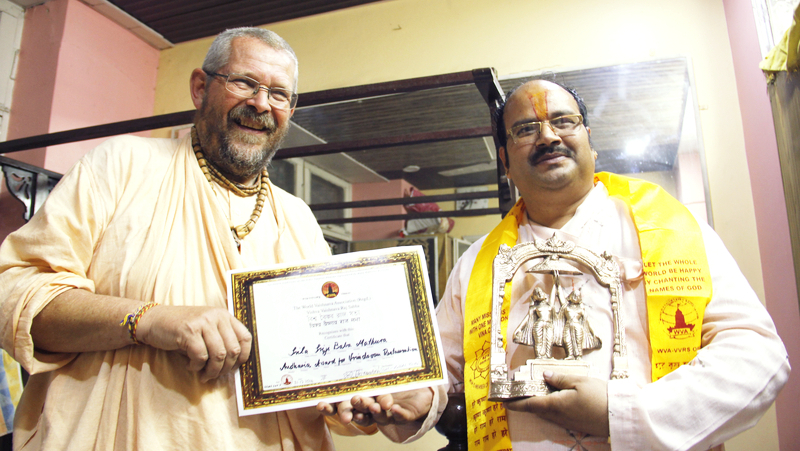 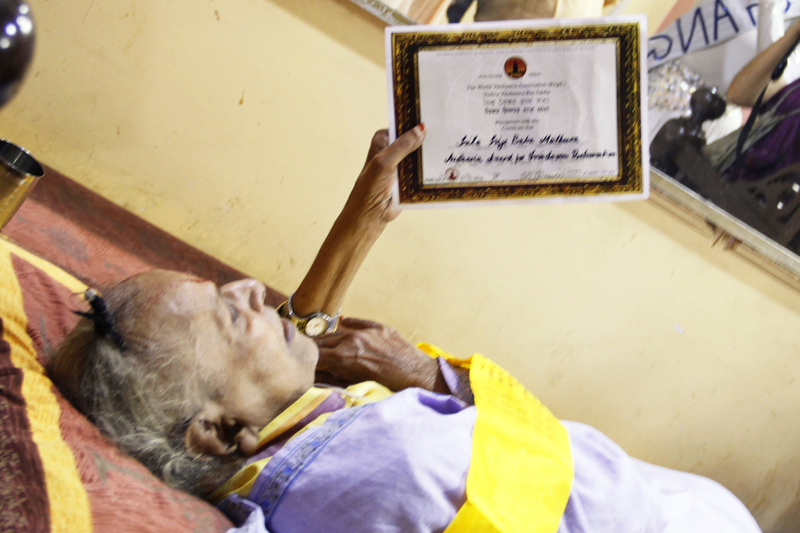 The award was received with great joy by his son Rama Kanta Goswami. 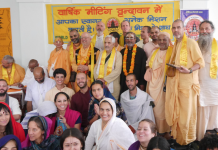 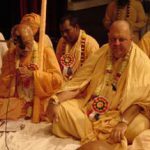 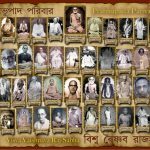 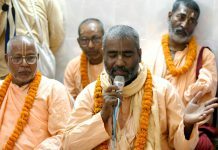 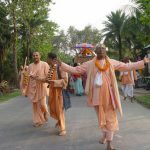 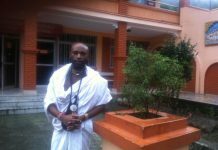 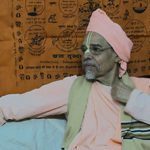 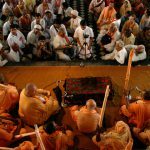 It shows that the World Vaishnava Association – Visvha Vaishnava Raj Sabha and Sri Vallabha Sampradaya are working for the same purpose: The Protection of the Holy Dham.